Chevrons seem to be one of the latest trends and there's lots of different turorials out there to make them, some a lot easier than others. 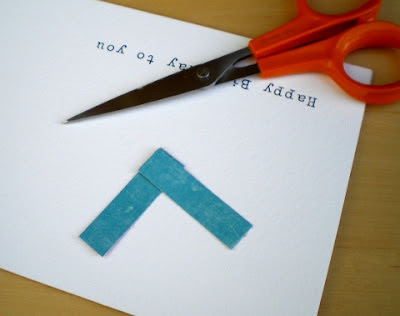 Here's the simple method I used to make this card. First, I printed the sentiment at the foot of an A4 sheet of 300gsm card. Cut at 21cm from the bottom edge and scored at 10.5 cm to make a DL card. Trimmed 1cm strips of patterned paper, then cut the strips down to 4cm sections. To make each chevron I laid two rectangles on top of each other to form a right angle and cut from the bottom to the top corner. Then arranged them on the card front, that was the hardest part! I had a list of Spring Cleaning jobs to do this week and I told myself on Monday - no crafting until they're all finished. I'm pleased to say it's all done now, so I'm back to share the first of a few Easter projects. This year is whizzing by so fast Easter has just crept up on me. Although I don't send Easter cards I do enjoy making treats, any excuse to buy chocolate - all for me!!! 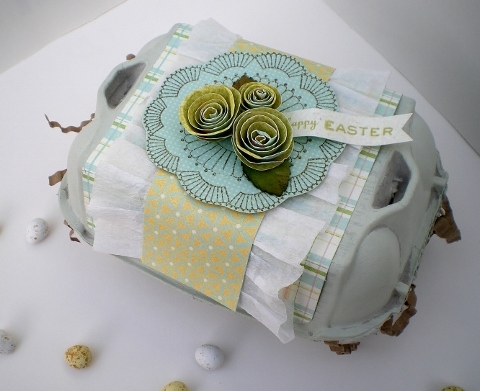 Here is an altered egg carton I created for the Bubbly Scrumptious blog. More details about how to make it are over on the blog. I'm in a celebratory mood today! It's GCSE exam season in our house and will be from now until the summer. Here's a card I made to celebrate the successes so far...I've used Basic Grey Oxford collection - perfect for masculine cards. 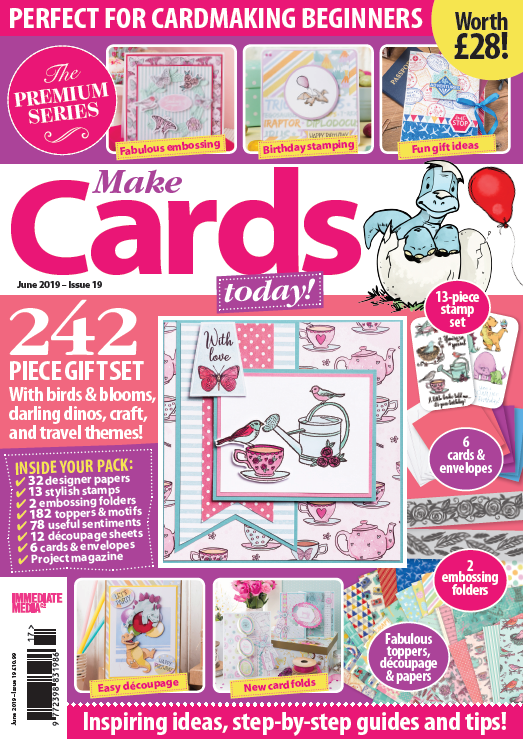 Have you seen the new releases over at Pink Petticoat, some lovely Chevron and Quatrefoil papers and Fluffy Little Chicks. Can't wait to get my hands on them! I've had a rotten cold these last few days and have been feeling a bit sorry for myself so I was struggling to come up with a card design - serves me right for leaving it to the last minute! 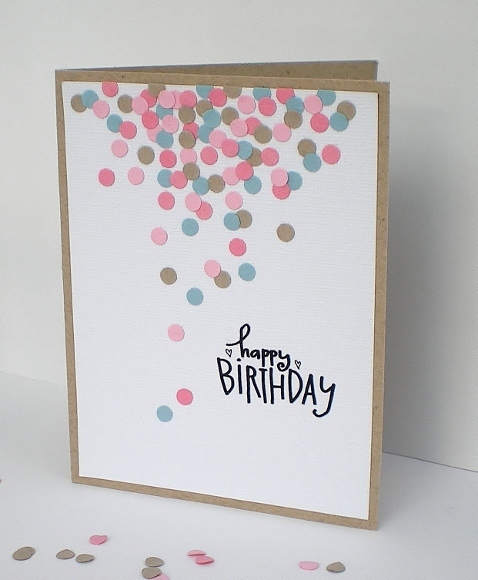 I've got a bit of a thing for CAS cards right now so when I saw this confetti card by Kim Kesti on the front cover of Paper Crafts I just had to give it a go. It took an age arranging and sticking down the tiny punched circles but I think it was worth it! Great idea for a wedding card too. Would love to see you over there. Check out the blog for some lovely projects from the DT and to see the prize up for grabs for one lucky entry. 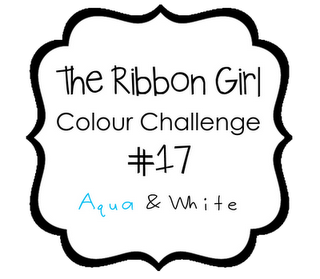 It's time for another Ribbon Girl challenge and this month it's Aqua and White. There's a bundle of gorgeous aqua and white goodies from the Ribbon Girl shop to be won and a gift voucher from LOTV, all the details are over on the blog plus lots of lovely projects from all The Ribbon Girls. Would be great to see you join us this time. You've got until 31st March to enter. It's Saturday so my turn to post over on the Bubbly Scrumptious blog. 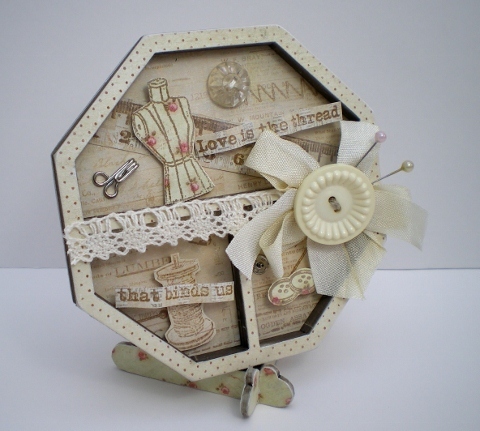 A Tando Chipboard Printer Tray decorated with Prima papers and some sewing stamps and embellishments. Check out the blog to see how to cover the chipboard tray and details of the supplies available from the Bubbly Funk shop. 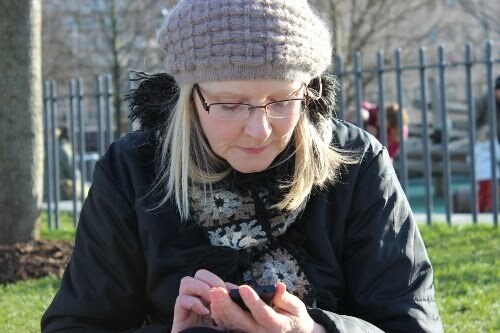 Thanks so much for all your lovely comments on my set of Mother's Day cards - much appreciated. I'll be back tomorrow with the new Ribbon Girl challenge. 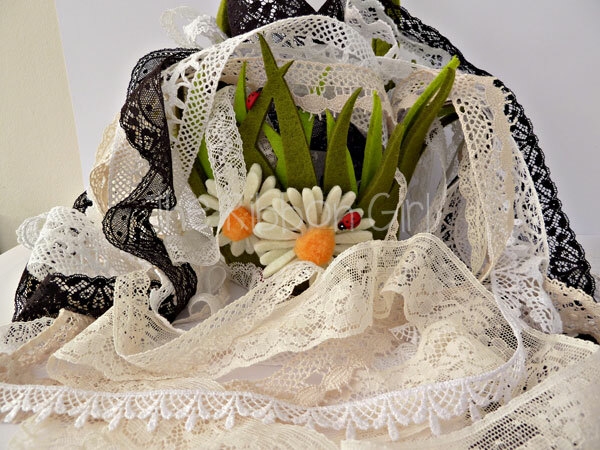 Just leave her a comment HERE telling her how you would use the lace - the give away will close in 7 days time on Thursday 22nd March and one winner will be picked at random - good luck! 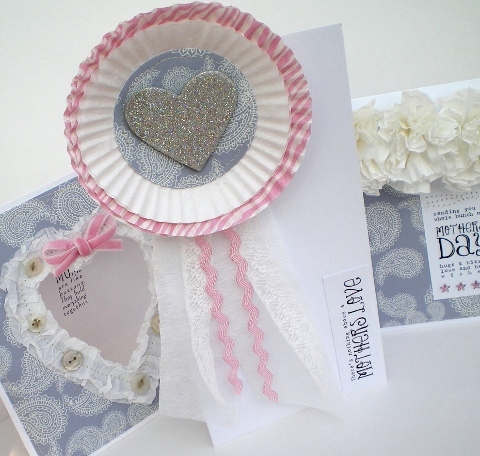 Today I've been mostly creating with the 'Mums Are Like Buttons' Sentiments just released from Pink Petticoat. 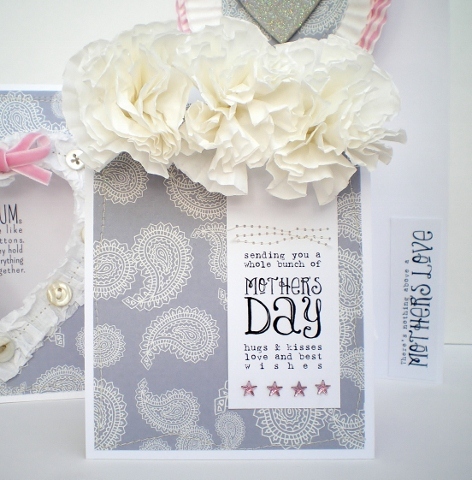 A lovely set of Mother's Day sentiments in stylish fonts and layouts. Which one to use ? I was spoilt for choice but had to stop at three because I run out of time. 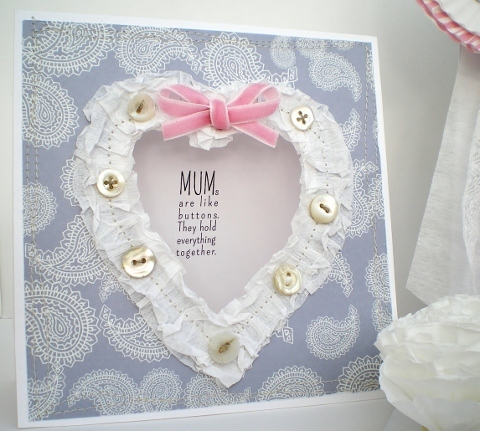 If you're struggling with your Mother's Day cards pop on over to the Pink Petticoat blog there's loads of inspiration and a card tutorial from Liz, a giveaway too! I had a win over at The Shabby Rea Room back in December. Part of my prize was a Guest Designer spot for this week. The theme is 'Spring is Near' and there's this fab photo for inspiration. 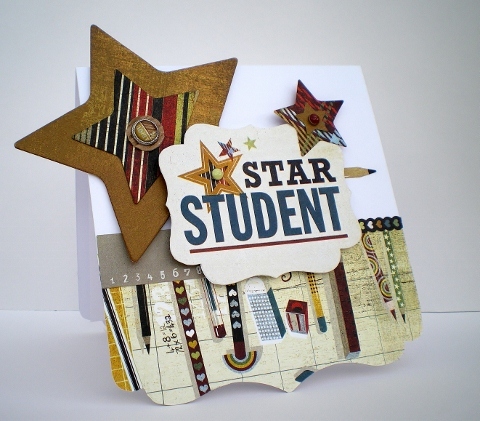 The challenge is to use at least 3 colours from the inspiration photo and some dry embossing. 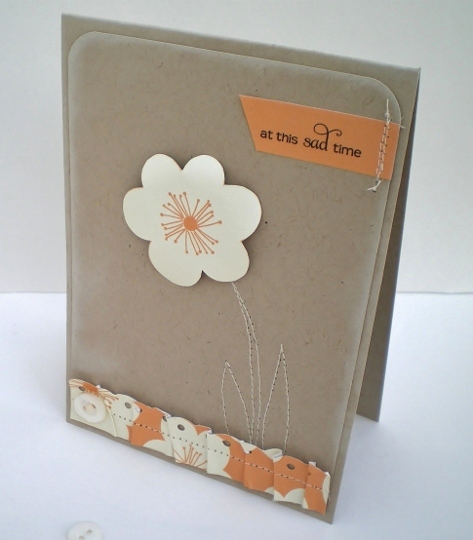 Check out the blog for some beautiful cards from the DT and the prizes on offer for this challenge. The Tea Room turns 2 this week so there's some extra prizes up for grabs. Check out all the details HERE. 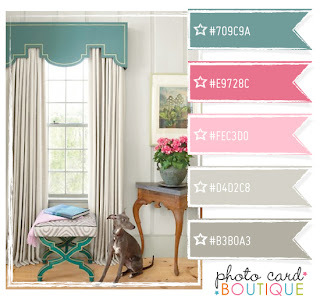 It's colour theme week over on the Less is More blog and this time it's 'Neturals'. I was really chuffed to see my card in the showcase last week. Thanks ladies. I was a bit stumped with the Neutrals theme at first, but then that's not unusual for me! Takes a little while for the old brain to come up with an idea. 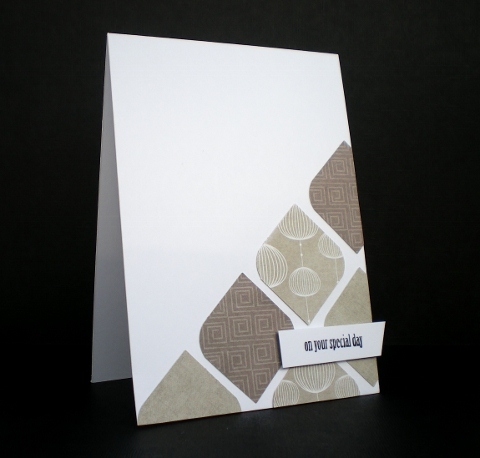 Then I remembered these patterned paper scraps that were left over from some cards I made a while back for QVC. I punched some 2" squares, rounded the opposite corners and arranged them on the card front and added a stamped sentiment. 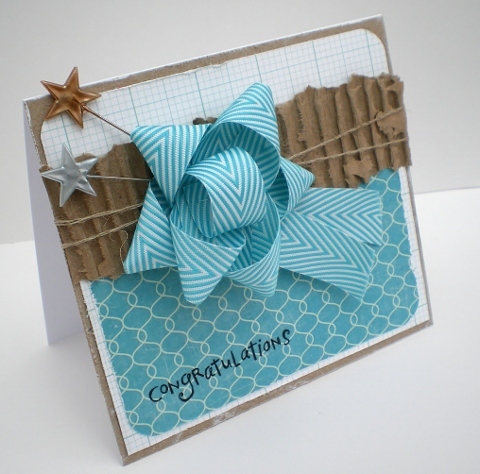 Here's my make for the Let's Craft and Create challenge - Buttons and Bows. I told you I had the Mod Podge bug. I've used old book paper to Mod Podge a terracotta plant pot - I gave it a coat of white acrylic paint first. I made the topiary using a styrofoam ball as the base and added lots of flowers die cut from handmade paper to give them some texture. 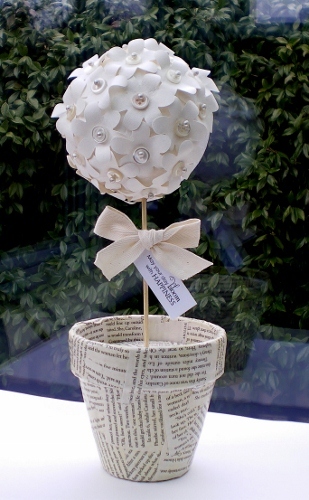 I added pearly buttons to the flower centres and fixed them to the ball with pearl head pins. 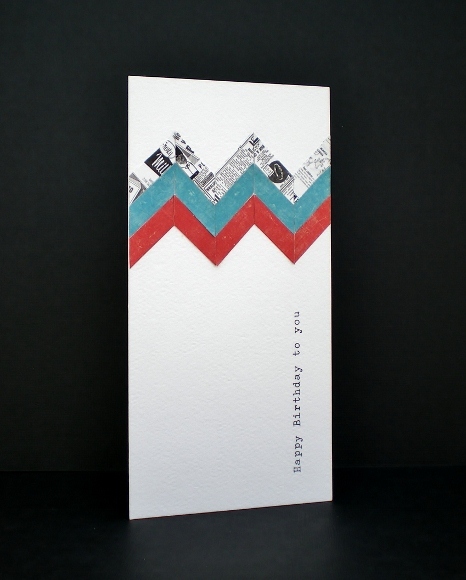 I thoroughly enjoyed making this, a nice change from cards. You could be seeing some more of these, I've got 4 more styrofoam balls, it was cheaper to buy 5 than just 1 and I do love a bargain! I only wish I could get a decent photo of it - it's really dull here today I might try again later. 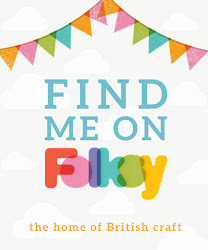 Check out the Let's Craft and Create blog for some more 'Buttons and Bows' projects from the DT, and don't forget you get a fortnight to join in the fun and there's a lovely prize on offer for one lucky entry. We'd love to see you over there. As promised, here I am back with my dabble with decoupage. I needed some storage in my Craft Room. 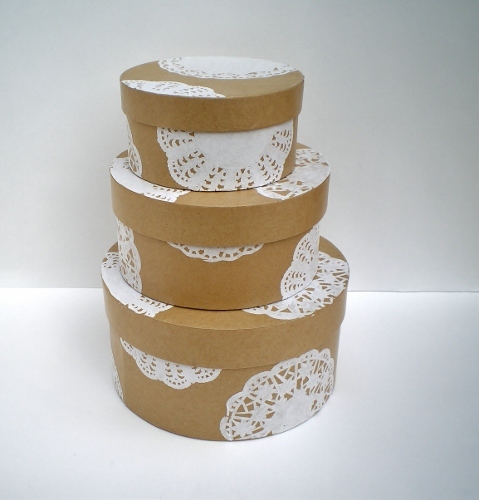 These kraft nesting boxes from Papermania were just the job, but how to decorate them? I wanted something practical, no ribbons, flowers or bows as I'll be using them daily, so any excess decoration would just get in the way. So, I had an idea to try some decoupage with mini doilies, a bit of an experiment really and I did have a panic when the kraft paper started to bubble up, but once they were completely dry the bubbles disappeared to leave a professional finish. I'm impressed! 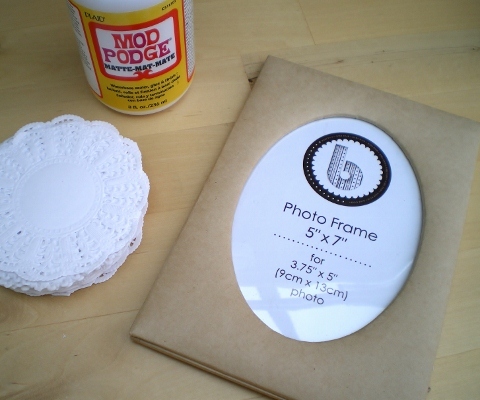 Here's my next project, a matching photo frame. 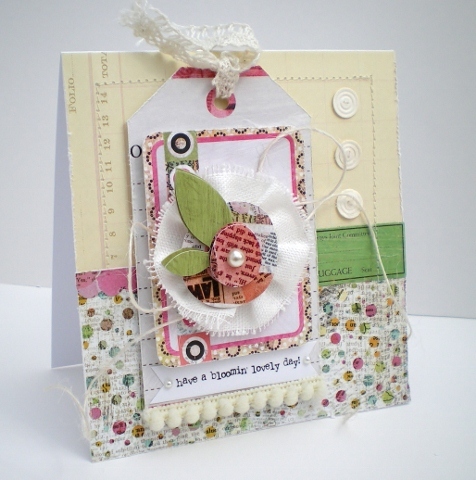 My make for the Bubbly Scrumptious blog today is a gift box to match last week's card. 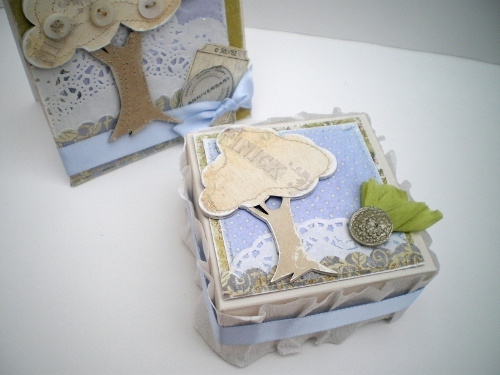 The Tando chipboard 'Cloud Tree' comes in a pack of two and I've used the smaller tree to decorate my gift box. 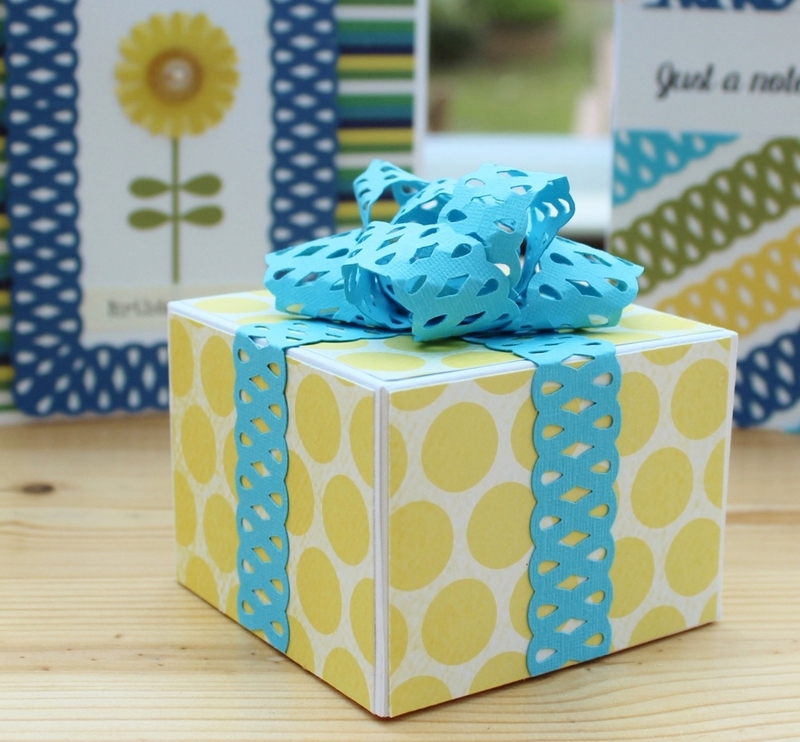 I copied the layout of the card for the box top and wrapped a crepe paper frill around the lid and finished with some satin ribbon.from Paperchase. 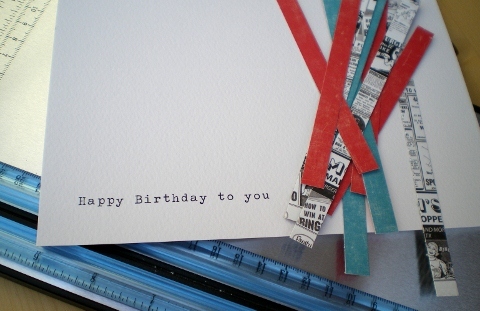 I've only just discovered Paperchase ribbons - some lovely soft colours. 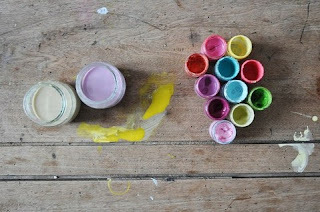 This week's challenge over on the Less is More blog is 'Don't Scrap It'. Today I've made a quick card with the leftover scraps that were on my work desk, leftover from the card on my previous post. I still had the sewing machine out too so I experimented with stitching the stem and leaves.